You have been searching for the compact SUV that delivers more than looks, including stellar performance. Look no further than the 2018 Jeep Cherokee, which stands out in comparison to others in its class due to off-road capabilities. Handle any road in Lubbock or Seminole when behind the wheel, and let the 2018 Jeep Cherokee show you how well it can perform. All trims include the 2.4L I4 MultiAir® Engine with 9-Speed automatic transmission, offering better power and torque with less emissions. If you want acceleration and speed horsepower matters, the 2018 Cherokee base model offers 184hp with some models reaching 260hp. The 2018 Cherokee boasts raised 4x4 performance with 3 innovative systems including Jeep Active Drive I, Jeep Active Drive II, and Jeep Active Drive Lock. 4x4 performance paired with Selec-Terrain® Traction Management System, front and rear suspensions, and available skid plates makes off-roading a bigger adventure. 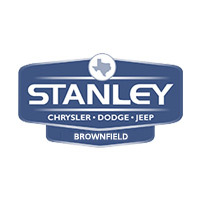 Stanley CDJR in Brownfield has a large inventory that includes the 2018 Jeep Cherokee. If you are ready to get behind the wheel today, contact us to schedule a test drive. Our friendly and knowledgeable staff is available six days a week to help you with financing or any other questions you may have. We look forward to seeing you soon!